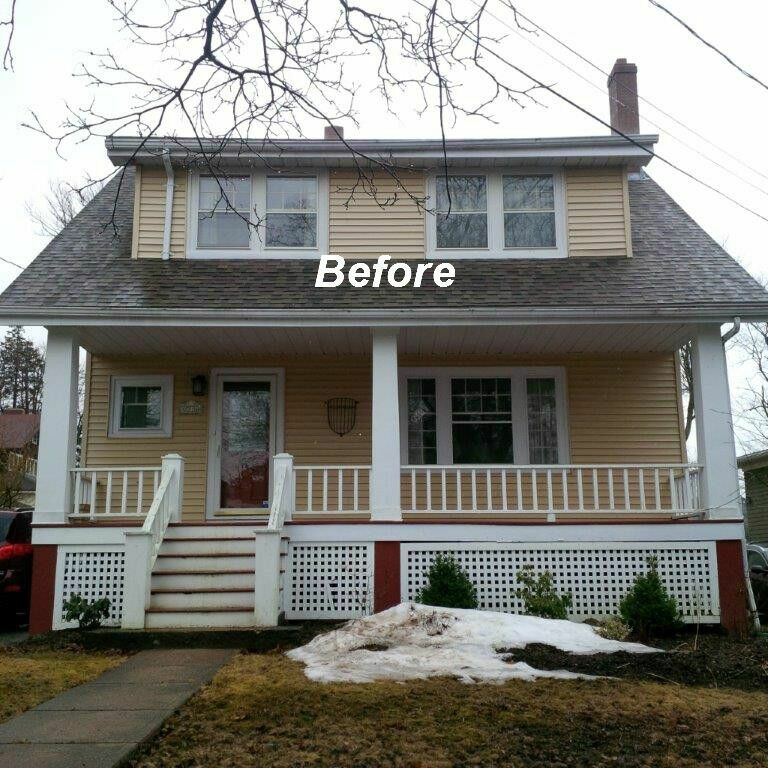 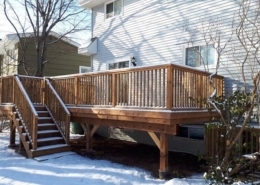 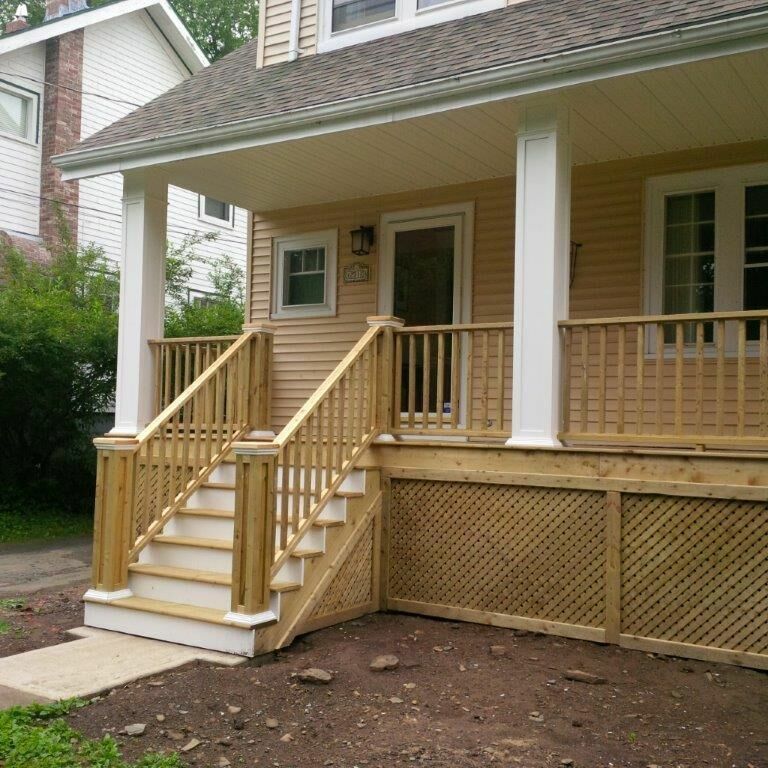 With this project we were able to modernize this downtown deck to keep with the chic-old Halifax City look. 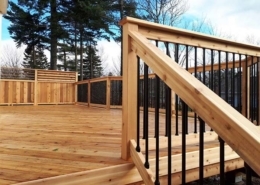 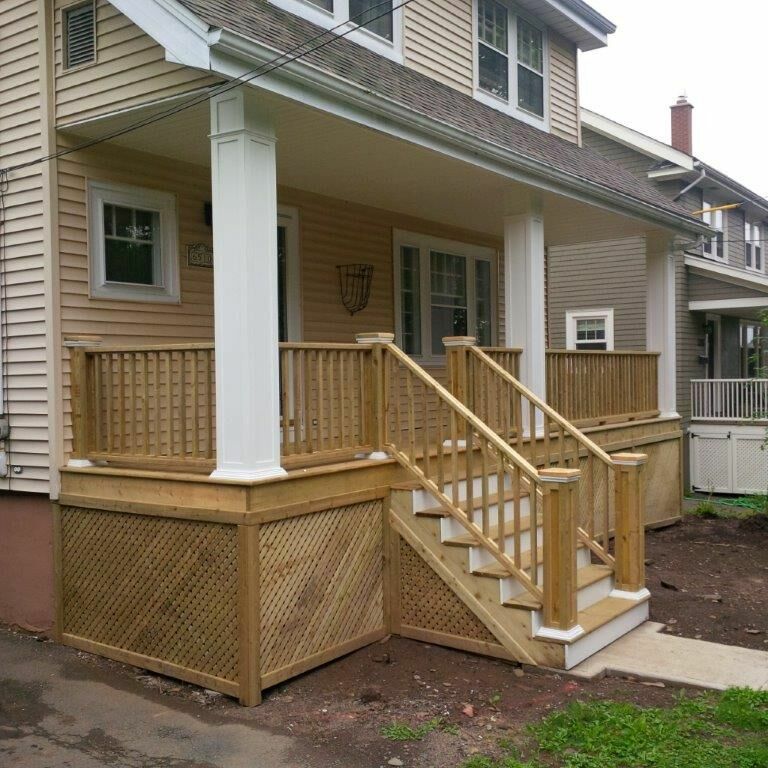 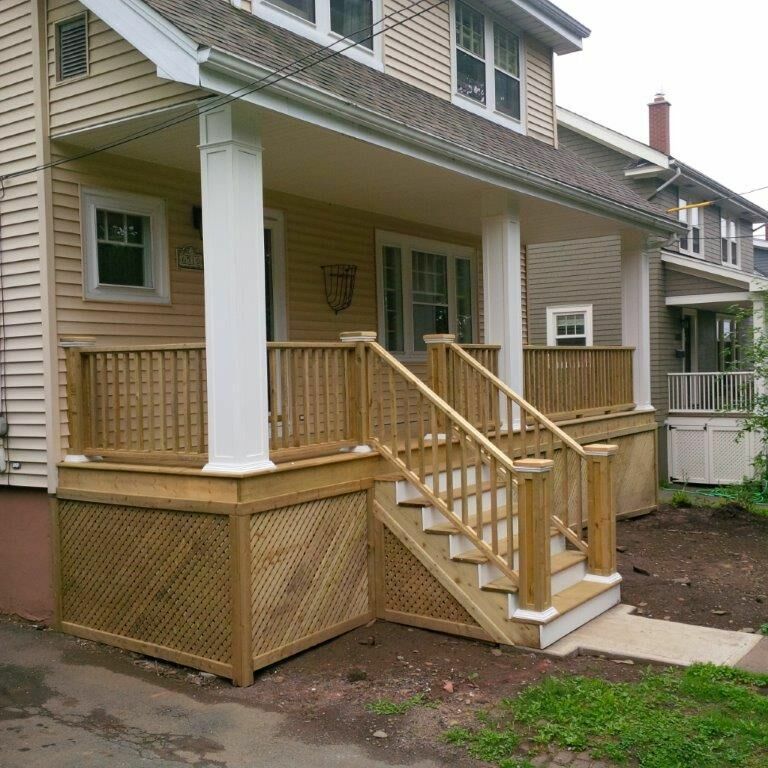 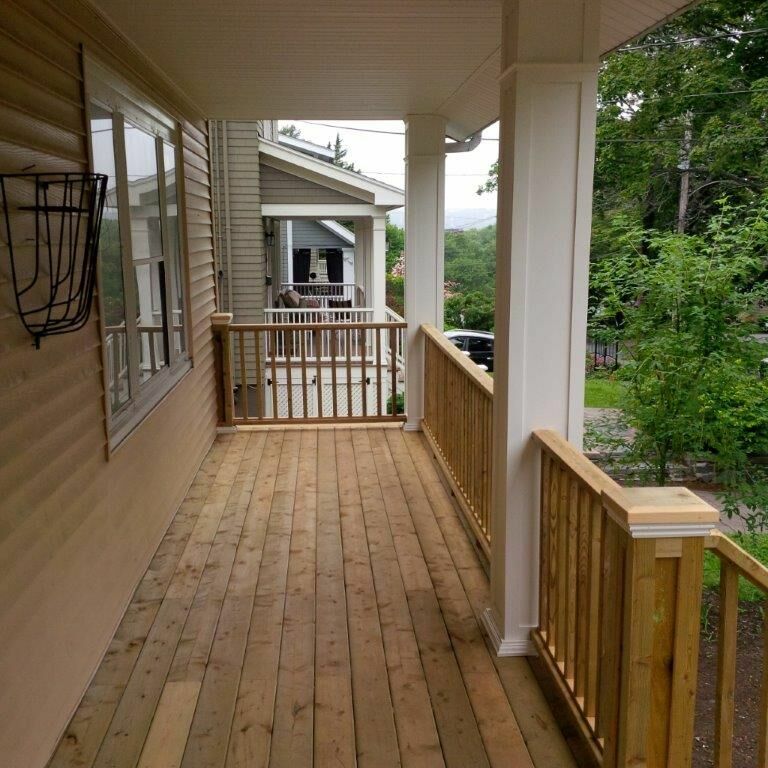 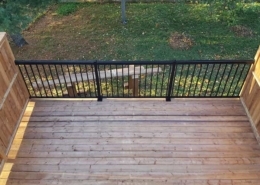 This front porch was designed using pressure treated wood for the structure and decking, as well as pressure treated privacy plus lattice skirting to enclose the bottom, allowing for storage. 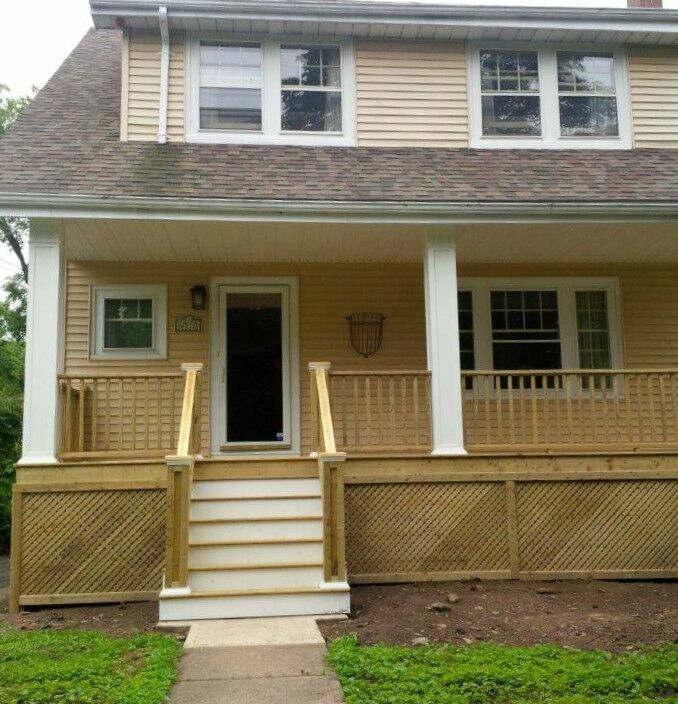 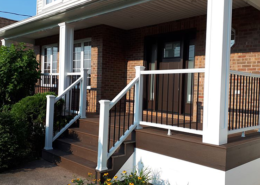 Some of the custom features used to define its beauty are, two toned stairs, using PVC white stair risers, Colonial post rails on top and bottom of staircase and PVC columns to elaborate the boldness of this front porch.